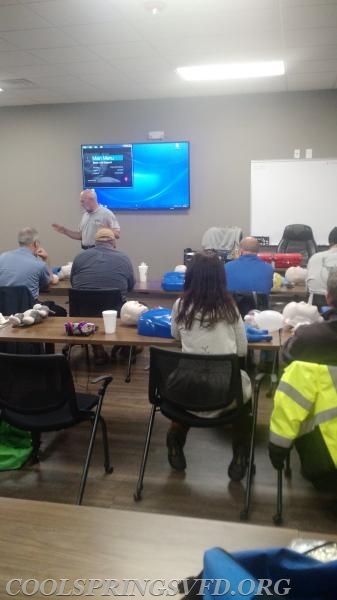 Cool Springs hosted a CPR class at Firehouse 1 for members and spouses, so if and when the time comes they will be ready to act. 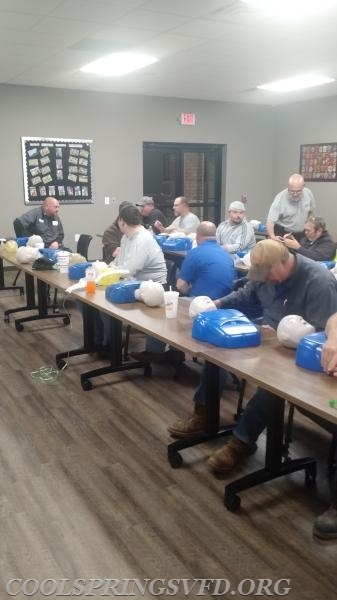 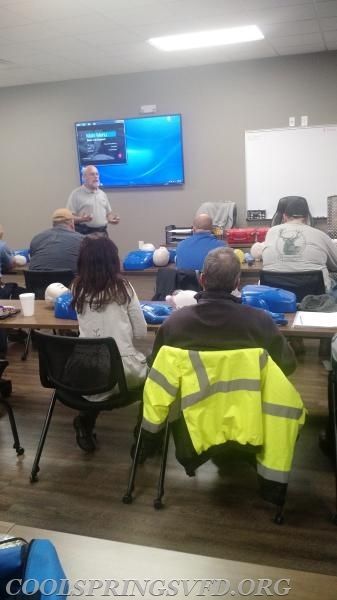 Members were trained on CPR and the use of the AED on adult,children, and toddler patients. 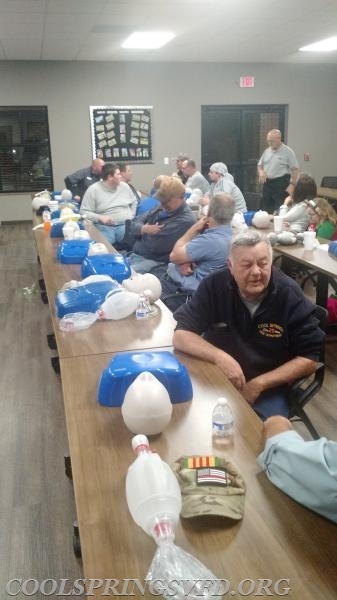 Once everyone was proficient on CPR and the AED the instructor then went over choking patients. 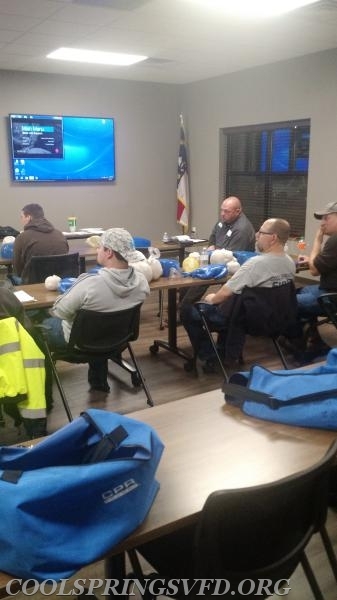 Members learned about the abdominal thrusts (Heimlich maneuver) for patients of all ages as well.